Attorney Dimitrios Makos, a resident of Boston's North End, has joined Greater Boston area exclusive buyer agent real estate firm Buyers Brokers Only, LLC. 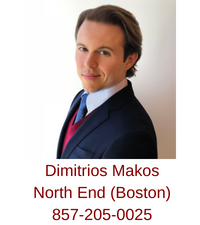 Dimitrios, an exclusive buyer agent, provides homebuyer representation in several Boston neighborhoods, including the North End, East Boston, South Boston, Charlestown, and the West End. He also helps homebuyers in several communities surrounding Boston, including Revere, Chelsea, Winthrop, and Everett. Dimitrios, a licensed Massachusetts real estate broker, is a member of the National Association of Exclusive Buyer Agents, the Greater Boston Real Estate Board, the Massachusetts Association of Realtors and the National Association of Realtors. Dimitrios graduated from Northeastern University in 2006 and earned his Juris Doctor degree from Suffolk University Law School in 2013. His experience has included positions with two of Boston's largest real estate investment trusts and four of Boston's most respected law firms, focusing on real estate acquisition and other areas of the law. Dimitrios was born and raised in Maine, and he has lived in Boston since 2001. 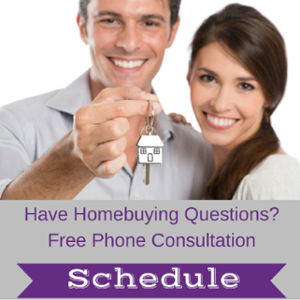 Dimitrios can be reached using email or by calling his mobile (857-205-0025) to schedule a personal homebuyer consultation. During the meeting, Dimitrios explains the home-buying process in detail, discusses home search goals, and answers any questions homebuyers might have about buying a home in the Boston area and Buyers Brokers Only, LLC's exclusive buyer agent services. 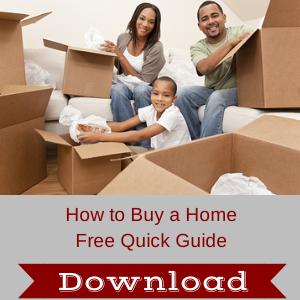 About Buyers Brokers Only, LLC: Buyers Brokers Only, LLC exclusively represents home buyers, and all its real estate brokers also are lawyers. Because Buyers Brokers Only, LLC only serves homebuyers, and not ever sellers, it’s 100 percent loyal to its homebuyer clients 100 percent of the time. With the headquarters located in historic downtown Haverhill, Massachusetts, the more than 20 buyer brokers at Buyers Brokers Only, LLC work from and cover an area that includes Boston, Boston’s south and north shores, MetroWest, the Merrimack Valley, Central Massachusetts, Southeastern Massachusetts, upper Cape Cod, and Southern New Hampshire. 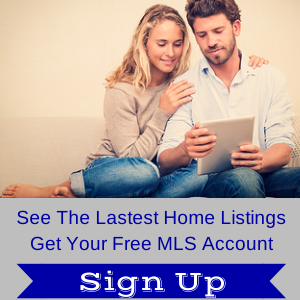 Buyers Brokers Only, LLC is the largest exclusive buyer agent real estate firm in the United States.